Study 1: The release of IL1a | EVENSWISS®: a leader of signalling cosmetics. New age in anti-aging beauty care! 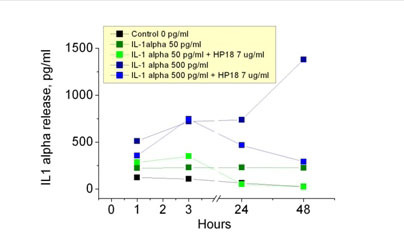 Cultured keratinocytes were incubated with different concentrations of IL1 alpha (=Dermatopoietin®) for one hour, washed and re-suspended. 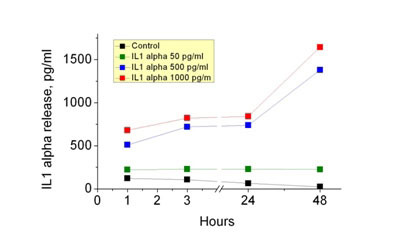 The Figure shows the release of IL1 alpha into the medium after 1,3,24 and 48 hours.